Nick Kyrgios battled Roger Federer Sunday at the Laver Cup in another installment of what’s become one of the most desirable matchups in men’s tennis. Before the match began in Prague, with no anthem of any country playing, he took a knee. “To clarify, he has been paying a tribute to his grandfather who passed away earlier this year, as well as his grandmother, both very important people to him,” a representative for Kyrgios told me today. 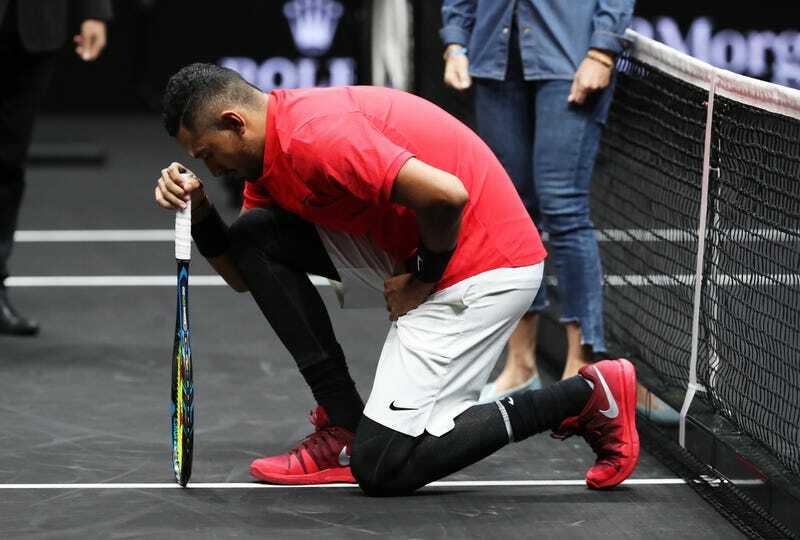 “His gesture didn’t have anything to do with what’s been going on in the States this past weekend.” Kyrgios’s grandfather died in April; his grandmother died two years ago, as he wrote in a recent essay. Kyrgios’s agent, Carlos Fleming at WME/IMG, also represents NFL quarterback Colin Kaepernick, who started kneeling during games in 2016 as a protest against the country’s oppression of black people.